When selecting companies and products, MyHealthyHome® only chooses corporations with a strong personal commitment towards health and well-being. 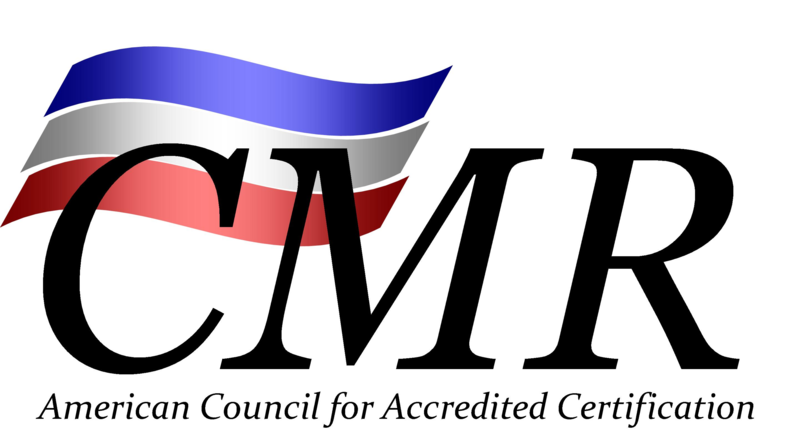 All manufacturing processes must be conducted with strict guidelines in regards to reducing Volatile Organic Compounds and producing products that do not contribute to indoor air pollution, and all companies manufacture within the United States and Canada where standards for safe manufacturing can be enforced. We have personal relationships with all the companies whose products we carry, and work hard to maintain open dialog with our manufacturers to continuously work to provide the healthiest products and make sure our clients are satisfied and receiving the best service available. Caroline's product offering is not an accident. She is such a great resource for consumer's all across America. Caroline is very conscientious about conducting extensive research before making selections to present to her customers. She does not add lines just to have something to sell...she offers only those that she believes in. And she cares about the welfare of her clientele. Most of our products are available to be shipped immediately without consultations. 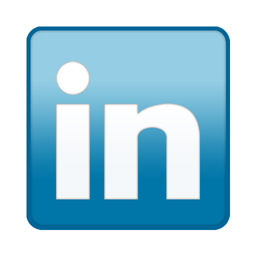 Products marked with this notation, cannot be sold without a consultation. To better understand the meaning and benefits of a healthy home. To ensure the products being purchased are properly addressing yours problems and concerns. To personally advise and explain testing procedures and results. To find answers to questions about healthy home living i.e. allergies, Multiple chemical Sensitivities, environmentally friendly building, natural pesticides, Volatile Organic Chemicals, Mold and many other topics. Consultations with our National Healthy Home Experts are also available without product purchases. 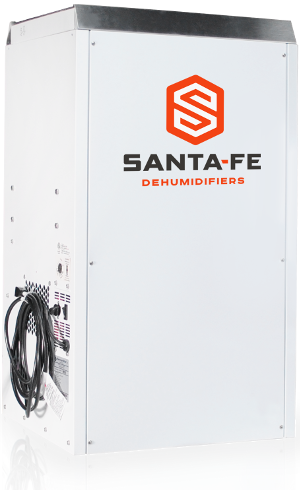 Santa Fe provides a full line of high-capacity, energy-efficient free standing dehumidifiers that are designed and manufactured for the ultimate in humidity control for basements, crawlspaces, and any other inside space that deserves the best in humidity control. 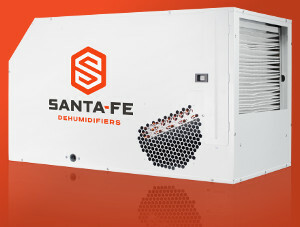 Santa Fe is manufactured by Therma-Stor LLC, located in Madison, Wisconsin. Therma-Stor was established to apply advanced heat transfer technologies to residential and commercial markets. Please call us TOLL FREE at 866-743-8563 for more information. 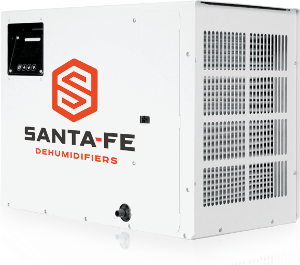 The Santa Fe Compact70 Dehumidifier is a powerful yet space-saving unit. With a horizontal configuration and a flow-through design, this system removes excess moisture from low-clearance crawl spaces and tight basement areas to a small home theater. Powerful and versatile. It's ready to take on your space. 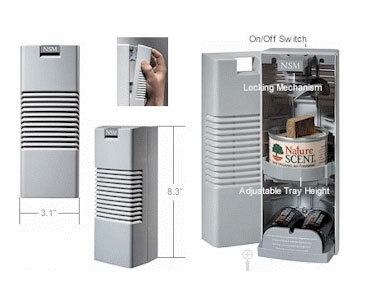 The Advance90’s horizontal configuration and unique dual airflow outlets make it an ideal solution for basements, crawl spaces, and home gyms. It features dual exhaust vents for improved airflow and increased efficiency, keeping your operating costs in check. Our newest addition to the popular Advance Series, it features digital controls and quiet operation. Perfect for finished and unfinished space, it defines being advanced. The Advance 100 features the Santa Fe Connect, our newest Wi-Fi monitoring system that puts power and knowledge right at your fingers tips. Designed to give homeowners peace of mind, it lets you control, monitor and receive timely alerts through the Santa Fe Connect app—the future of moisture monitoring. When it comes to being energy efficient, nothing compares to the Impact105. 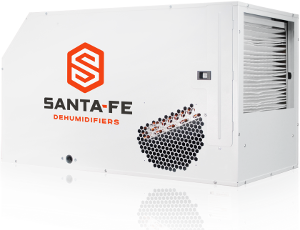 With its low heat load optimization, it effectively eliminates problematic moisture and restores healthy indoor air quality to basements, workshops and home theaters. Horizontal configuration. Dual outlet design. Quiet operation. 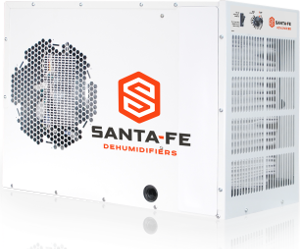 What more can you want from a dehumidifier? The Impact155 is made to handle larger basements, garages and crawl spaces efficiently. Simply put, no job is too big for this powerful yet efficient unit. The Classic is one of the most energy-efficient residential units on the market. Engineered for basements and other finished spaces, it features a vertical configuration and a flow-down design. 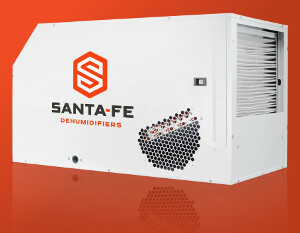 Its high-capacity blower moves air in a way that no small conventional unit can. 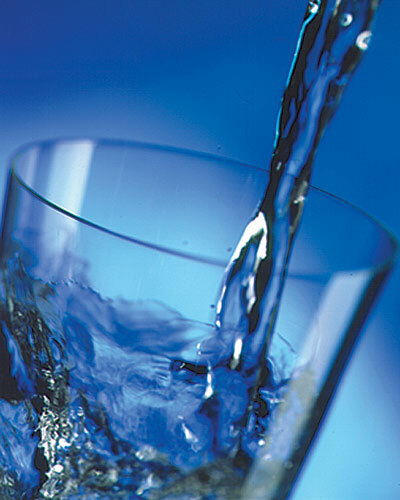 National Testing Laboratories has been offering affordable drinking water testing to homeowners for the past 25 years. Whether your drinking water comes from a private well or public water supply (city water), the Watercheck products are specifically designed for both types of water supplies. These products answer the question "What's in my Water? 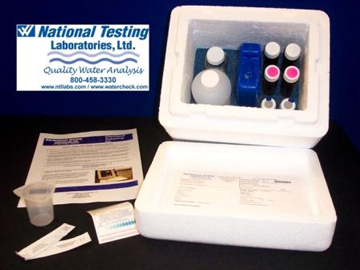 This informational testing package will check for 83 contaminants in your well water. These contaminants include Bacteria, (19) Heavy Metals & Minerals, (6) Other Inorganic Chemicals, (5) Physical Characteristics, (4) Trihalomethanes (disinfection by-products) and (47) Volatile Organic Chemicals (VOCs). or send an email request now! 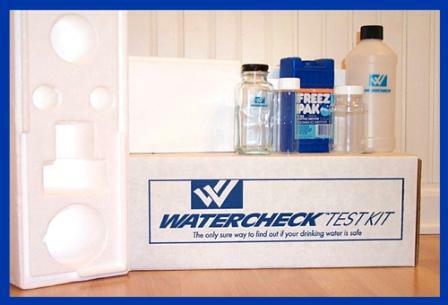 This informational testing package will check for 103 contaminants in your well water. These contaminants include Bacteria, (19) Heavy Metals & Minerals, (6) Other Inorganic Chemicals, (5) Physical Characteristics, (4) Trihalomethanes (disinfection by-products), (47) Volatile Organic Chemicals (VOCs), and (20) Pesticides, Herbicides and PCBs. 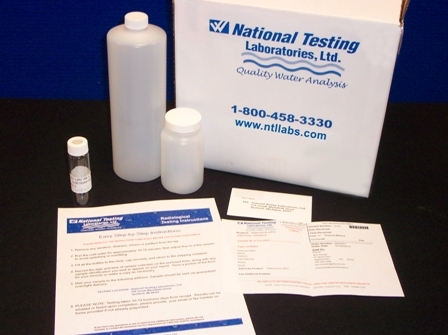 An informational testing package designed to test for Uranium, Gross Alpha & Beta and Radon in water. This package can be used for well water and city water. This informational testing package will check your city water for (17) Metals and Minerals, (6) Inorganic Compounds, (4) Physical Characteristics, (16) Disinfectants and Disinfection By-Products and (47) Volatile Organic Compounds. This informational testing package will check your city water for (17) Metals and Minerals, (6) Inorganic Compounds, (4) Physical Characteristics, (16) Disinfectants and Disinfection By-Products, (47) Volatile Organic Compounds and (20) Pesticides, Herbicides and PCBs. Since 1963 Atlantic Ultraviolet Corporation has engineered and manufactured, ultraviolet water purification equipment, ultraviolet air sanitizing and surface disinfection systems, and uv germicidal lamps for residential and commercial applications.The method of ultraviolet germicidal light being used in purification and disinfection of water, air and surface is a unique and rapid method, without the use of heat or chemicals. The germicidal ultraviolet lamps utilized produce short wave radiation lethal to bacteria, virus and other microorganisms. 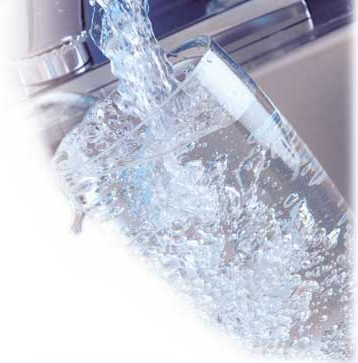 The BioLogic® is a 1.5 gallons per minute [gpm], 90 gallons per hour [gph] UV Water Purifier. Fits most under the sink applications. chlorine, THM's, pesticides and other volatile organic hydrocarbons. Use less soap - and remove scale from your pipes - continuously - automatically and for only about $5 in electricity a year. This revolutionary new product works without chemicals, salt or plumbing to help reduce scale buildup and prevent scale formation. 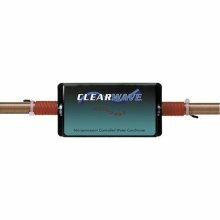 The ClearWave-HD works on all types of pipe including copper, PVC, galvanized and stainless steel. When selecting companies and products, MyHealthyHome® only chooses corporations with a strong personal commitment towards health and well-being. We proudly recommend these air purifying products and services. Our whole house ducted energy recovery ventilator (ERV) is the most energy-efficient and best-performing ERV on the market. Perfect for any climate, our ERV brings in fresh, filtered air while recycling your home's temperature and humidity - keeping your family comfortable in every season.This feature packed whole house ventilator is the ONLY system to come standard with energy saving features like GE ECM motor technology, and an EconoCool mode. The Dual Function timer and filtration capability are also STANDARD features. No other system even comes close! AeroLogic® air duct disinfection units utilize germicidal lamps to protect occupants from potentially harmful airborne microbes including bacteria and virus in new or existing duct systems. Units are constructed of tough, corrosion-resistant Stainless Steel to ensure long life. One, two, or four lamp units in various lengths and configuration. The Hygenaire Cabinet dispenses a botanical cleansing agent throughout a room to effectively reduce mold and other harmful contaminants that you would otherwise inhale. By silently distributing an odorless cleanser, it quickly and effectively reduces mold anywhere in your home. Use in your bedroom, bathroom, or kitchen, the unit will treat 200 square feet. Refills can be placed in your forced air, HVAC system, or in your car, too. Using all natural, hypoallergenic ingredients this proprietary, plant-based formulation can bring relief to even the most sensitive populations. Using all natural, hypoallergenic ingredients this proprietary, plant-based formulation can bring relief to even the most sensitive populations. People suffering from Environmental Illness (EI) or Multiple Chemical Sensitivities (MCS) have found that this product will replace many of the traditional air treatment products currently available. The System comes with one purifying cartridge. A Quantum Leap in Air Purification Technology, Airpura has created TitanClean™ which uses a Photocatalytic oxidation process to safely Break Down Harmful Chemicals and Odors within your home. For specific airborne chemicals including VOCs such as formaldyde, and ammonias. Over 4000 chemicals can be addressed. UV Germicidal lamp sterilizes antigens, pathogens and mold spores as they are trapped on the filters. Activated Carbon and Hepa filters filter airborne chemicals, odors and particles. 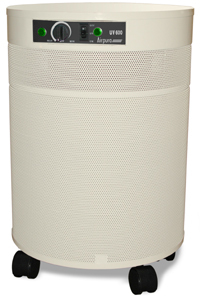 Complete Air Purification featuring the new TitanClean™ Photocatalytic Oxidizer. 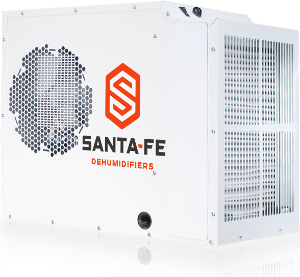 For VOCs, airborne chemicals and odors as well as particles and microorganisms. 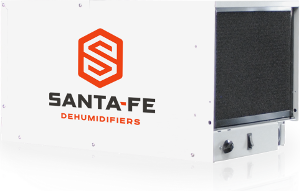 Specially designed to clean the air of tars and chemicals from tobacco smoke. Tars are trapped by a special tar barrier filter. 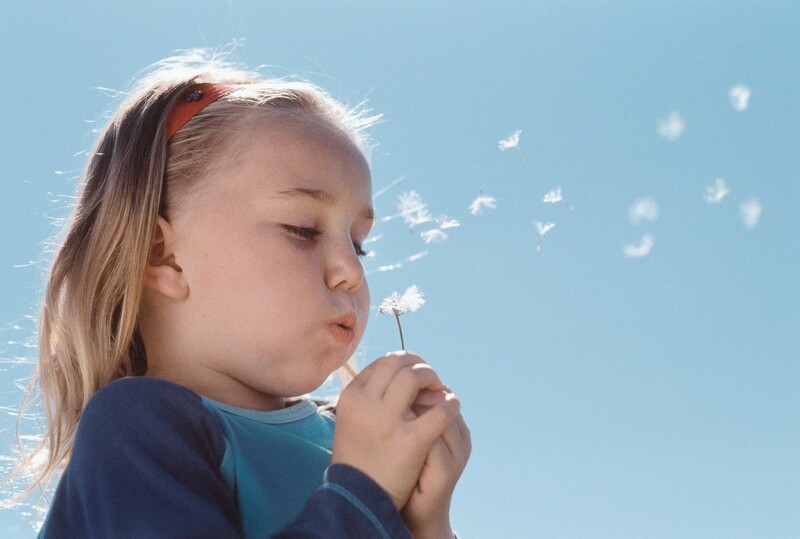 For allergy and asthma sufferers and full scale particle filtration. Isolation, particle abatement. UV option for antigen and pathogen sterilization. Extra large carbon bed for maximum chemical adsorbtion. Extra large carbon bed with enhanced carbon for maximum VOC and chemical adsorbtion. 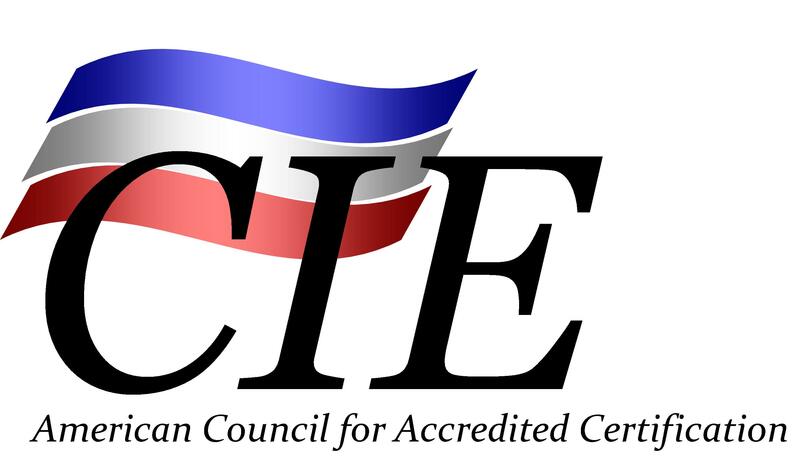 My Healthy Home has CMR (Certified Microbial Remediation) and CIE (Certified Indoor Environmentalist) certification through the American IAQ Council and is a member of the ACGIH and IAQA. 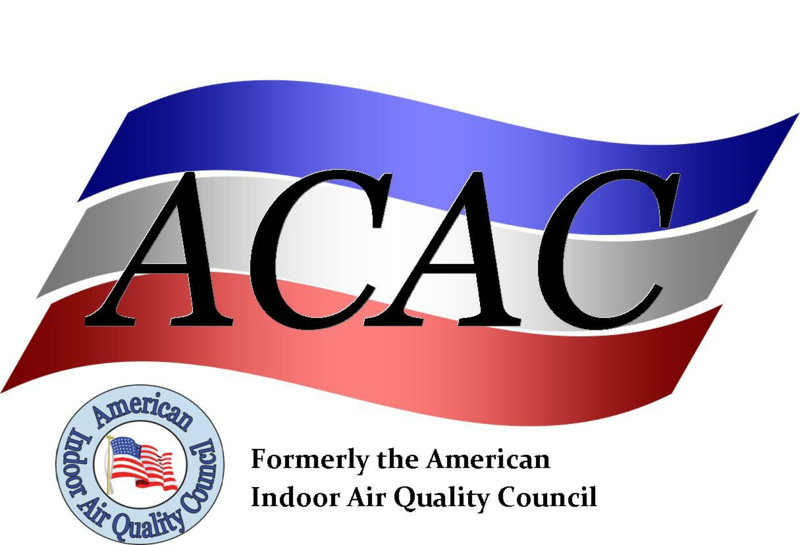 All work is based on the current standards provided by the EPA, IICRC S500, ACGIH, IAQA, ASHRAE as well as New York City and California indoor air quality standards.